oh man. i can't believe you don't LOVE ice monster. i'll blame it on your hormones.. hahaha.. i'll admit it is kind of overpriced.. but it's still soooooo good. at least you know it will be good as opposed to some smaller places where it might not be "great"..
first time reading ur blog. Awww! Sorry to hear that this place went out of business. But at least you got some very nice photos to share with us! Ice monster has apparently reopened under new management and name but with old menu in the same location. It is now called Yun Kang 15, which is it's street address. Just tried out the reopened spot. Very similar to Ice Monster, however the quality has gone down the drain. I feel Ice Monster's quality had gone down over the years as well before it closed, but this is a new low. 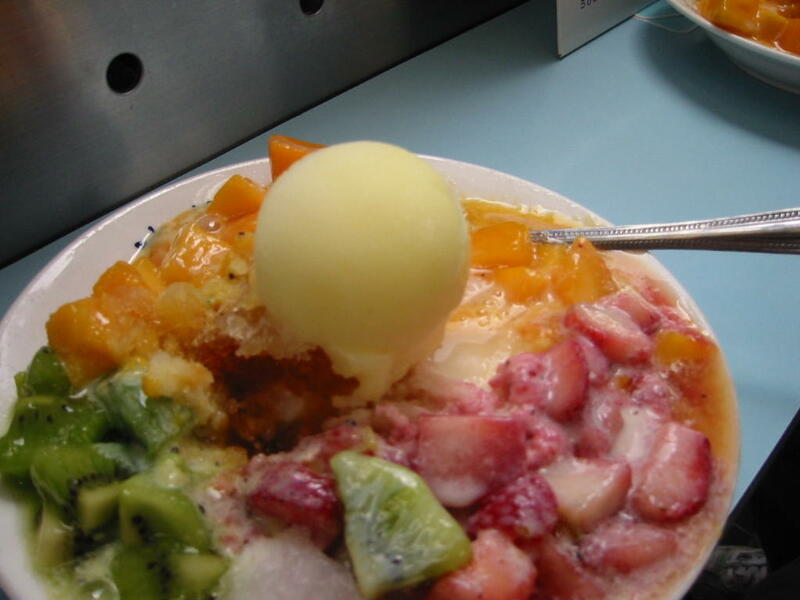 The shaved ice overall wasn't too bad, I think they use more sugar syrup then condensed milk now. But the thing that destroyed it was the "mango" ice cream on top. It tasted of plastic and everything it touched was inedible. I won't be coming back anymore. Going to try the clone that's up the street when ice monster closed down sometime in the future. Maybe it's better? At least there's AC.